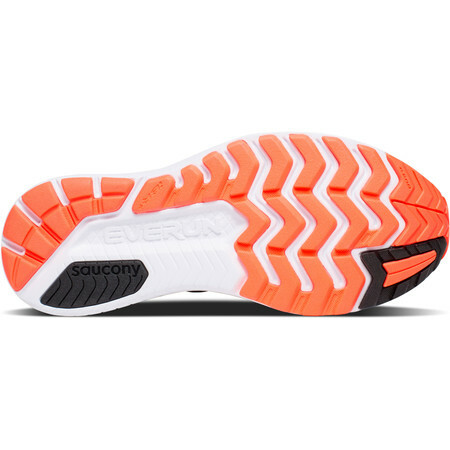 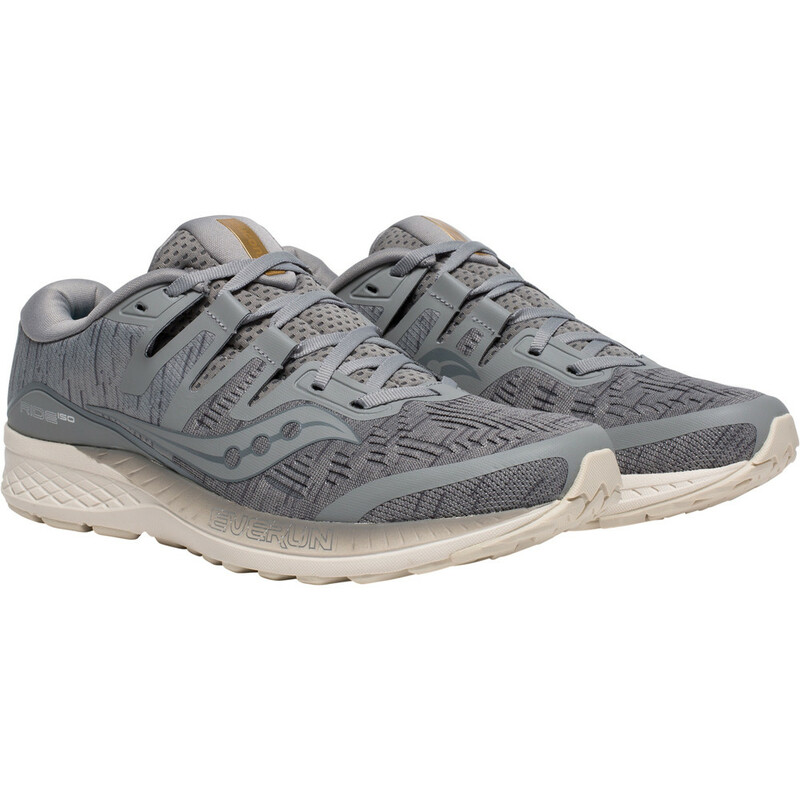 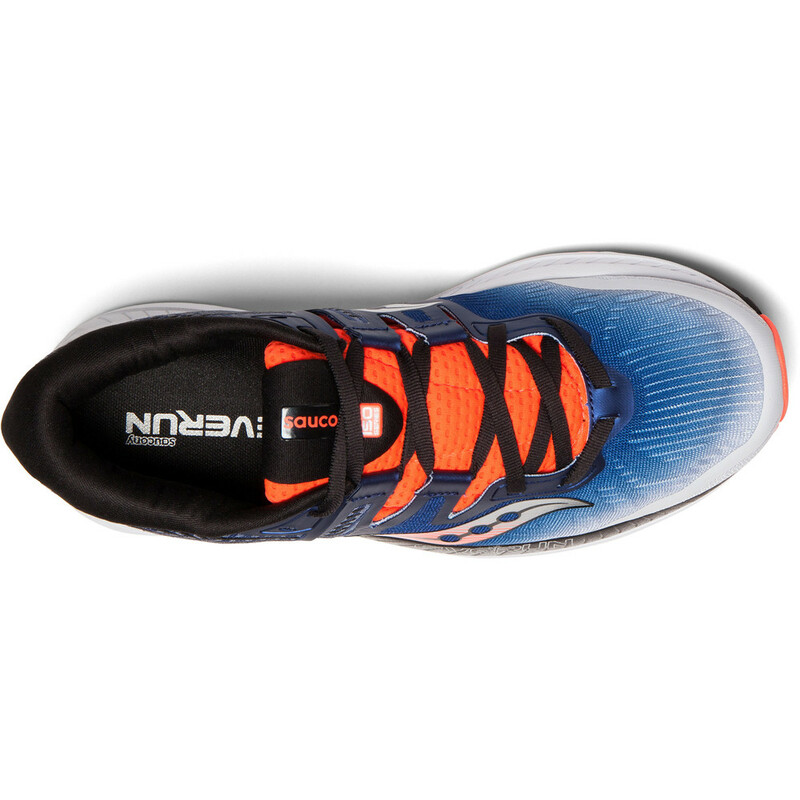 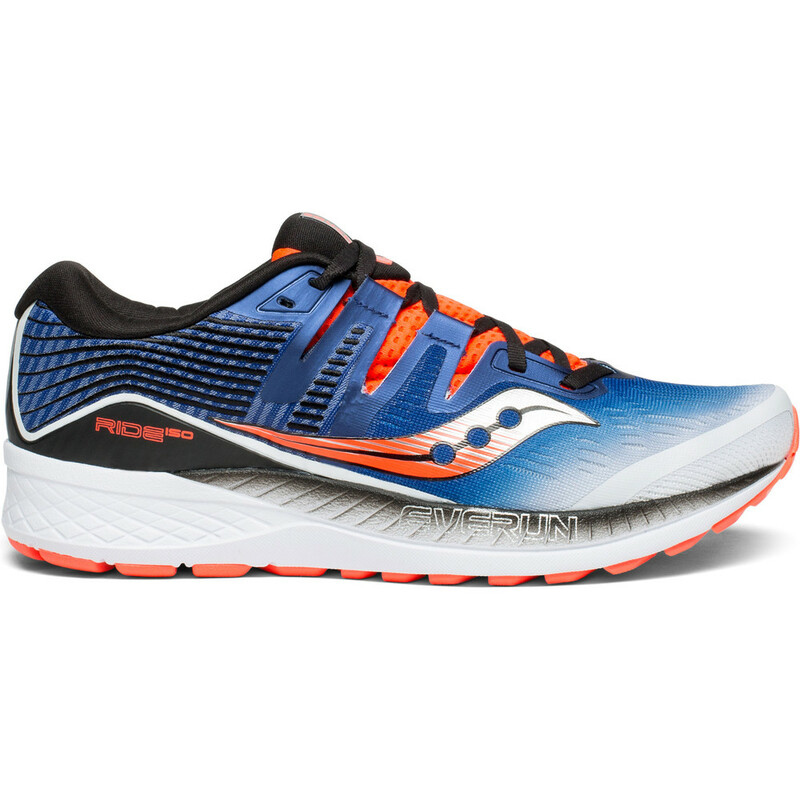 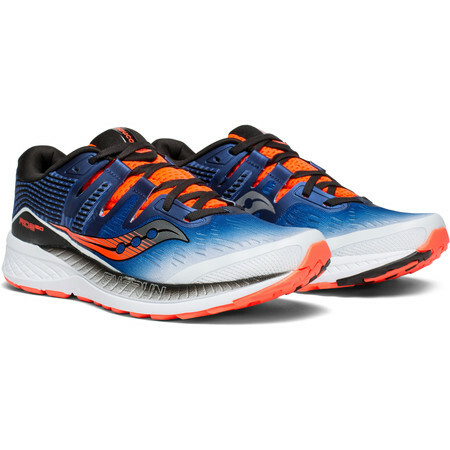 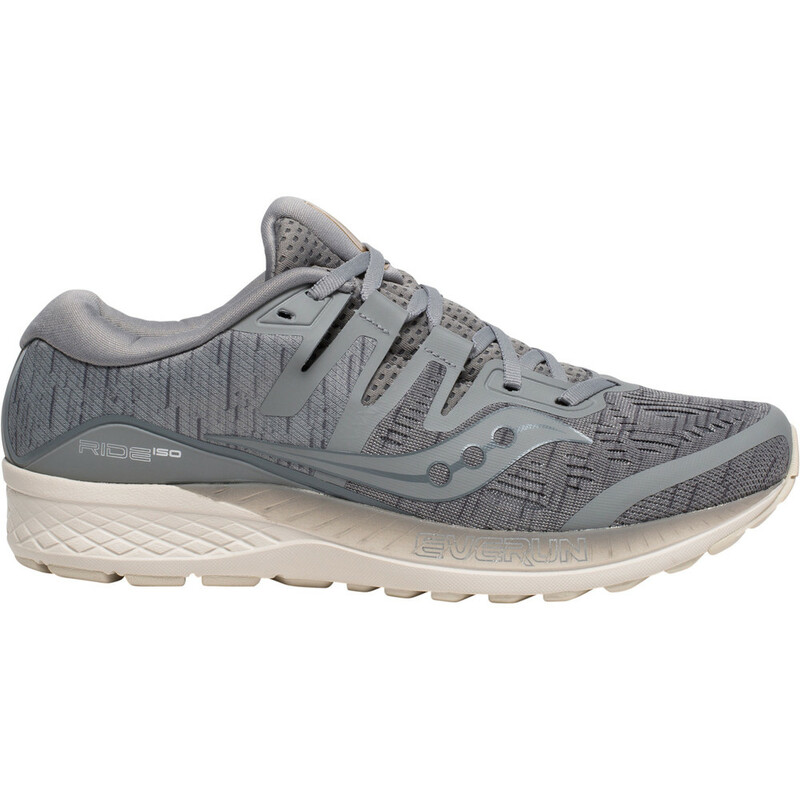 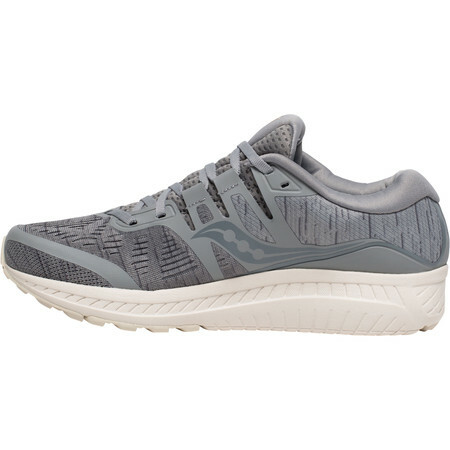 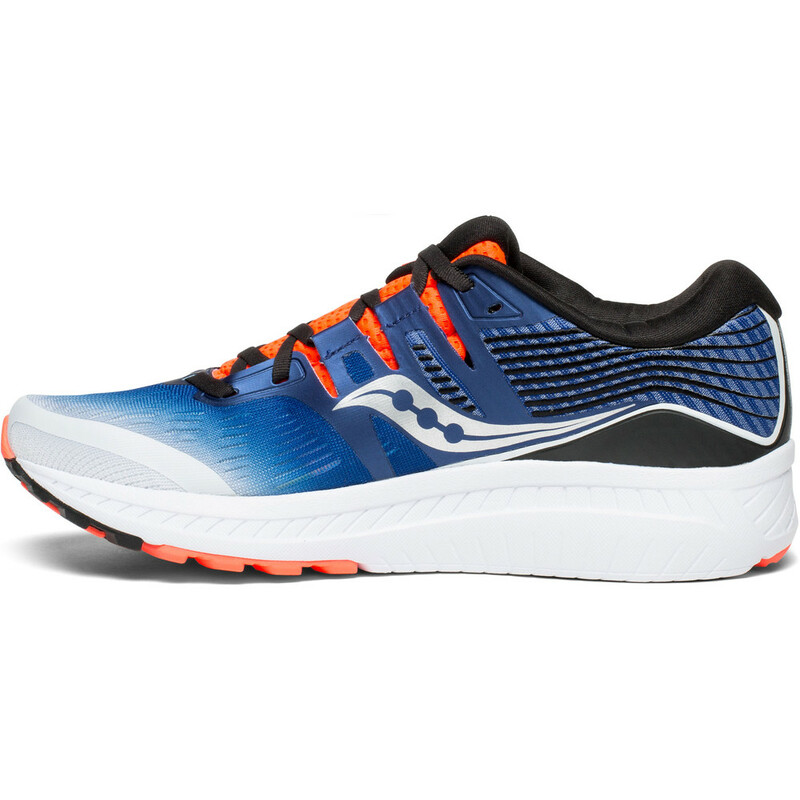 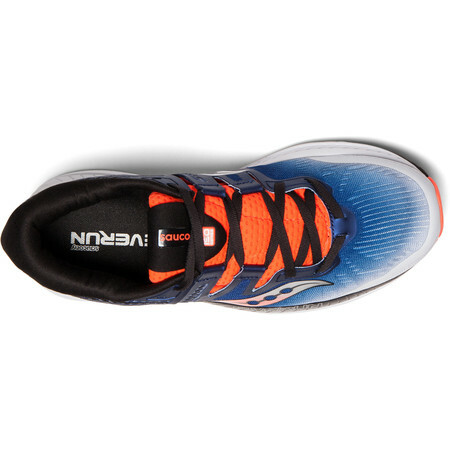 Saucony’s Ride neutral road running shoe has been upgraded with a new ISOFIT dynamic upper. 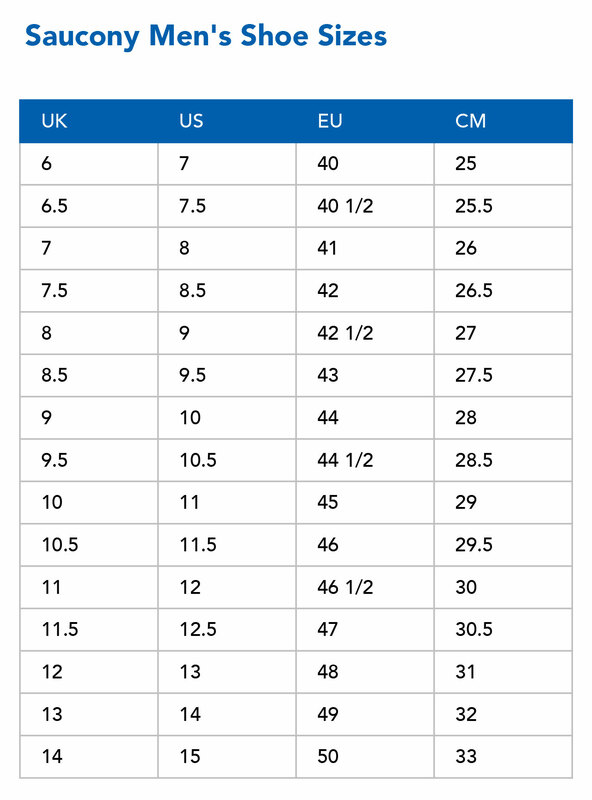 A seamless engineered mesh cradles the foot and allows it to breathe while an ISOFIT lacing system with independently moving fingers adapts to different foot shapes providing a personalized fit. 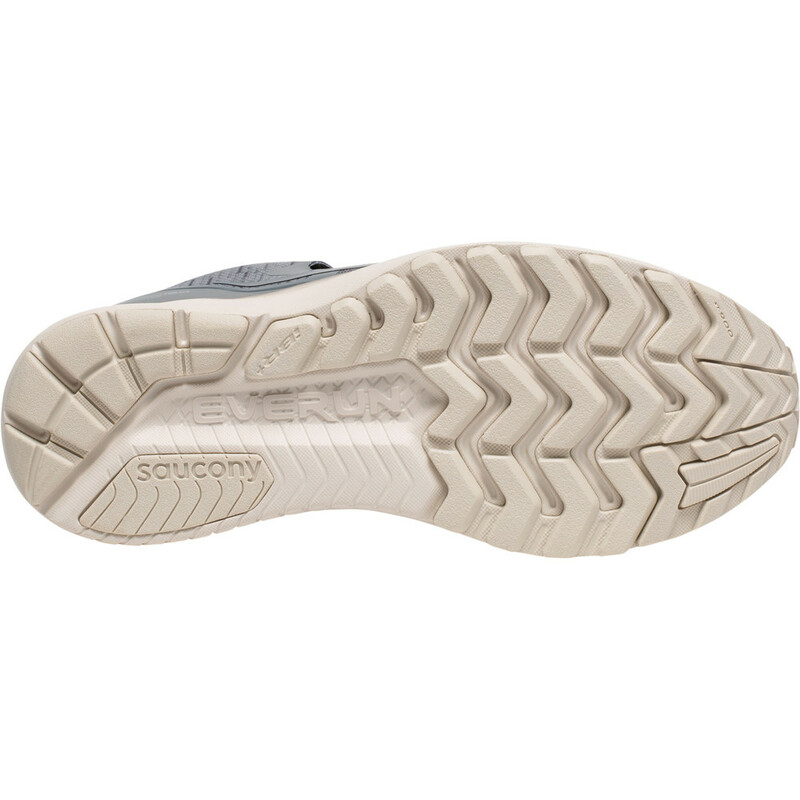 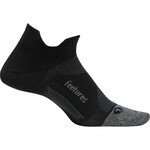 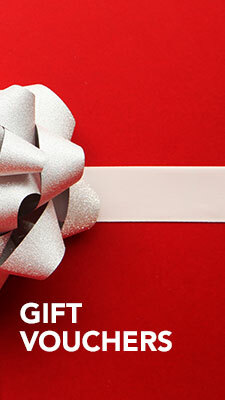 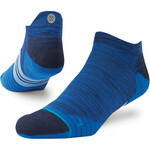 Formfit contoured footbed is shaped to the contours of the feet for comfort and stability. 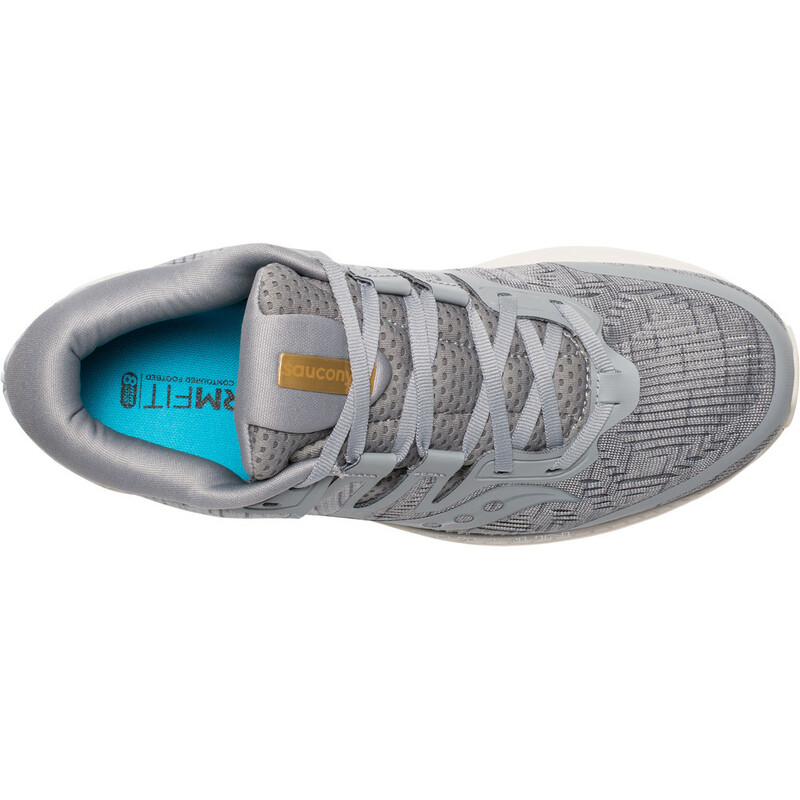 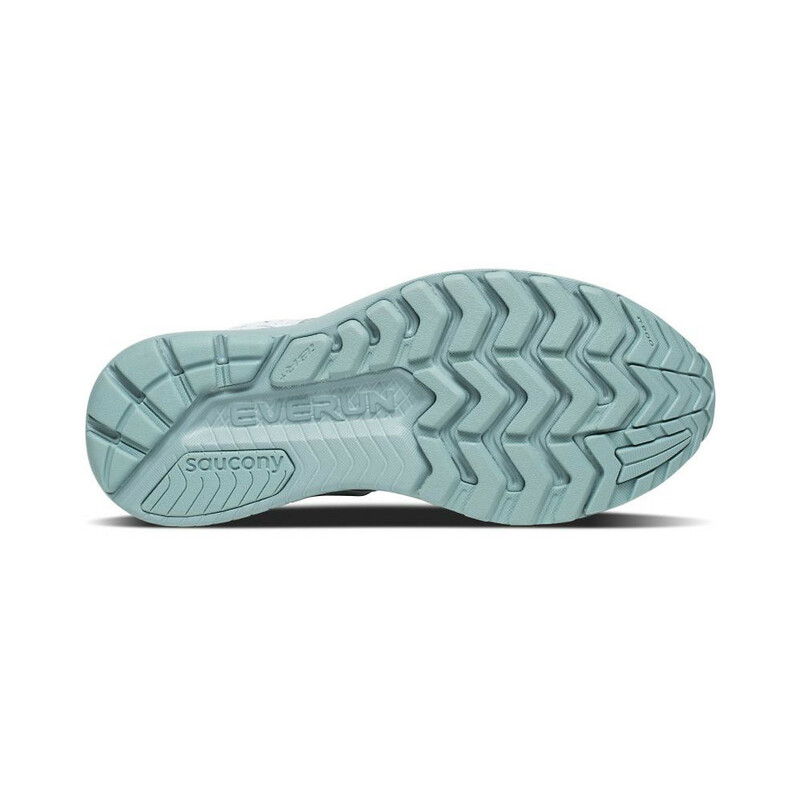 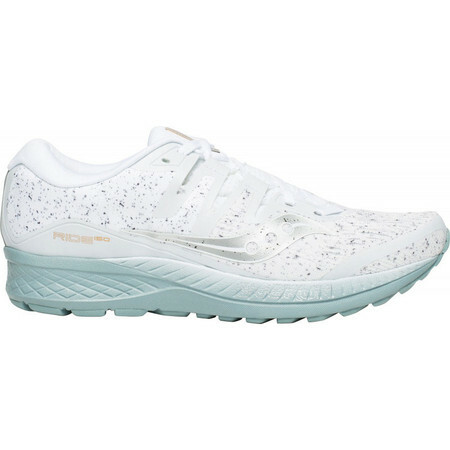 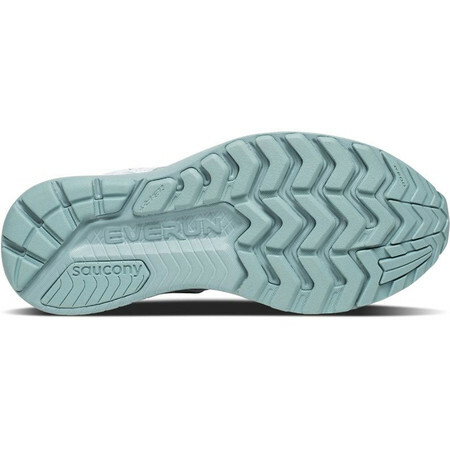 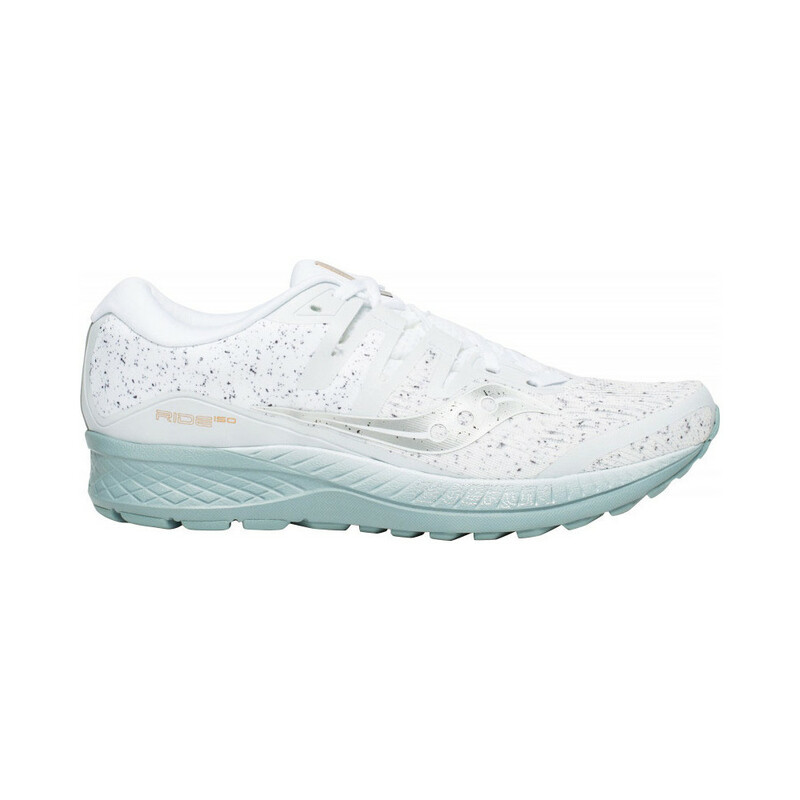 The midsole is designed to blend cushioning and responsiveness – the PWRFOAM platform absorbs impact while the layer of Everun on the top gives a bouncy feeling and great energy return.